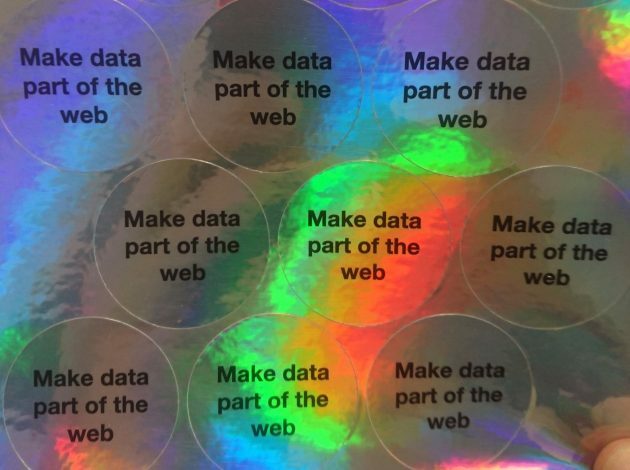 We have it written on stickers, we have it in our open data principles and now we have taken a small step to making more ONS data available to our users in a way that moves it towards being part of the fabric of the web. You can find the technical detail of what this is over on Rob’s post. This is a post about why. The current version of ONS’s website is a couple of years old. We have made a real commitment to investing in the site and continuing to involve it over time, but at its heart, it is a collection of static HTML pages with excel documents attached to them. This has benefits (it is very fast and simple), but also challenges (the Excel files often have different formatting, don’t follow the same technical standards and can be inconsistently described) so we have spent some considerable time addressing this. This comes, as always, from our user research informing us on the direction to head and that direction is “help us find your data and your words”. Link to individual values in datasets. However, we think that making the data in this format will help meet a number of additional user needs. It will be easier to create timeseries charts using our API. It will be possible to automatically update web applications with the latest data and it will allow our data to be more deeply woven into complex technical systems with no need with additional human intervention. Whilst this is a very small start to a wider project, we cannot continue to develop it without your feedback. All of the pages have links to pass information back to us and my direct messages are open on Twitter and I will do my very best to respond to everything we get. This will help focus how we roll this out across the rest of our data. We will also be looking to run a small collection of public show and tells and hacks around the country over the summer to help showcase the capability of the data and get your feedback face to face. More news on this will be available soon.